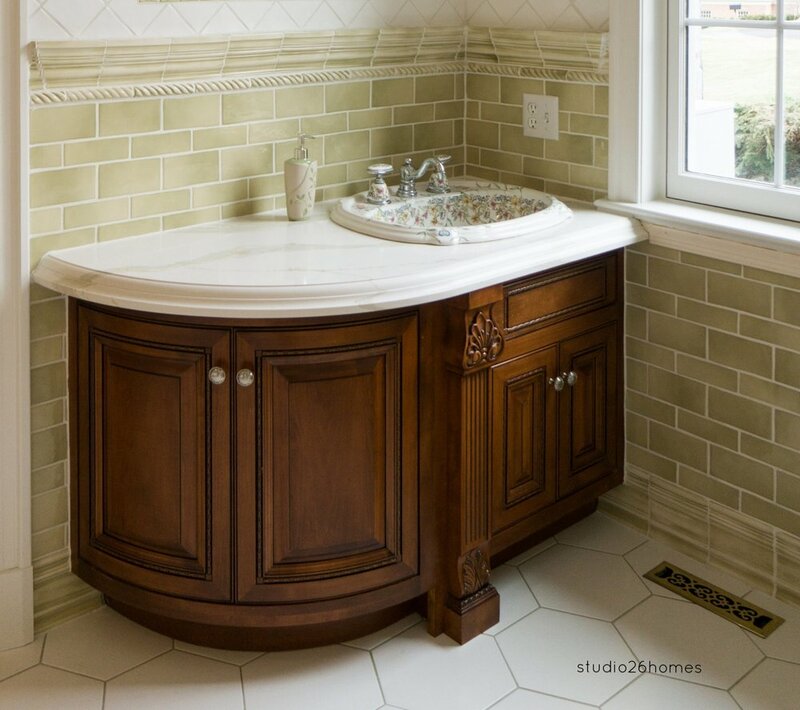 Prime Bathrooms — Blue Mountain Woodworking, Inc. The Bathroom is usually one of the smaller rooms in your home and definitely one of the most private. Bathrooms are one of the most important spaces in your home. It is a private venue for the rituals of everyday life. If you have been thinking about the bathrooms for your new home construction or even a bathroom over haul Blue Mountain Woodworking’s Prime Semi-Custom Cabinetry will allow you to get the bathroom of your dreams at a very affordable price. Bathroom design, remodel or renovations will make your bathroom functional and efficient. Be it for a gorgeous master bathroom design, main bathroom or half-baths with Blue Mountain Woodworking’s Prime Semi-Custom Cabinetry and design team, we will help you will find the balance between stylish and practical at a value you never thought possible.